Are you flying for the upcoming Holiday Season? 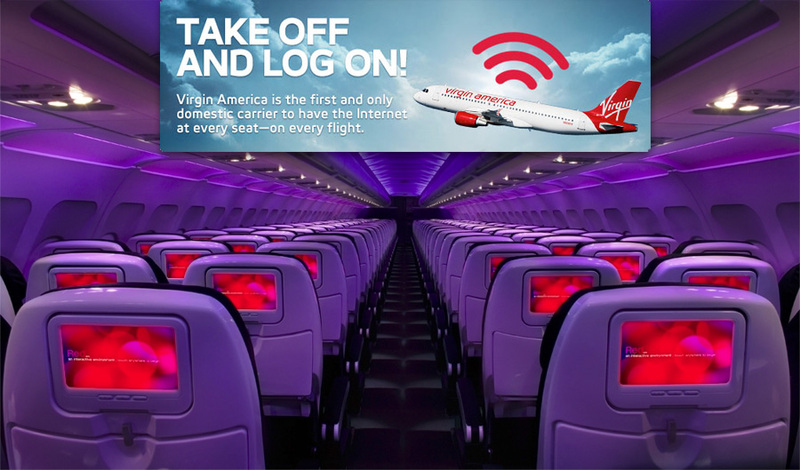 If you are, Google’s got a special treat for those flying with Virgin America. All flights between November 10, 2009 and January 15, 2010 will have free WiFi internet access for all passengers thanks to Google. Virgin America normally charges $6 for flights under 1.5 hours, $10 for those in between 1.5-3 hours, and $13 for those longer than 3 hours. So if you find yourself getting sick of the on-flight entertainment, just pull out your laptop and get online. Even mobile devices such as a Blackberry or iPhone are allowed to connect to the WiFi network as long as the cellular component is turned off. I haven’t had a chance to test the network speed, but they are suppose to be decent. Google claims it to be comparable to “the mobile broadband experience on the ground.” However that probably won’t be the case this holiday season. With flight full of passengers connecting to the network since it’s free, rather than the usual few business folks, it will probably slow down a lot. If you’ve tried in-flight WiFi, please share your thoughts below!